Who’s giving to whom? The Midrash (Lev. 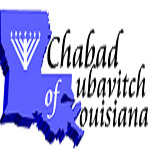 Rabba) states, “More than what the philanthropist does for the poor person, the poor person does for the philanthropist.” The conventional way of understanding this is that the poor person gives the rich person the opportunity to do a Mitzvah. And not just any mitzvah, but the Mitzvah of Tzedakah, which has many special merits as enumerated by our sages all over the Talmud and Midrash. This week I heard a story that gives a whole new meaning to this concept. We had a visitor at Minyan one morning this week, who shared with me something that happened to him. Several years ago his teenage daughter went into renal failure and she needed a kidney. It was determined that he was a match, and he became a kidney donor for his daughter. With Hashem’s help all went well, and they both recovered nicely. Fast forward one year. This man is a member of Hatzalah, the volunteer ambulance corps. He was rushing to a call one day, and as he went through an intersection on a red, a bus plowed into the driver's side of his vehicle. He took a rough hit on his side and was badly injured. When Hatzalah rushed him to the emergency room, the doctors were freaking out about the prospect of major damage to his kidney, with the possibility of kidney rupture. He and the Hatzalah members who brought him in were laughing. He explained to the doctors that a year ago he had given that kidney to his daughter and therefore there was no kidney there to worry about. So while he thought he was helping his daughter by giving her a kidney and saving her life, in fact she relieved him of his kidney thereby saving him from major medical issues. We don’t always understand Hashem’s ways. But we do know that in the end end end, doing what Hashem’s wants of us is also for our own benefit. Comments on: Who's Helping Whom?